1. 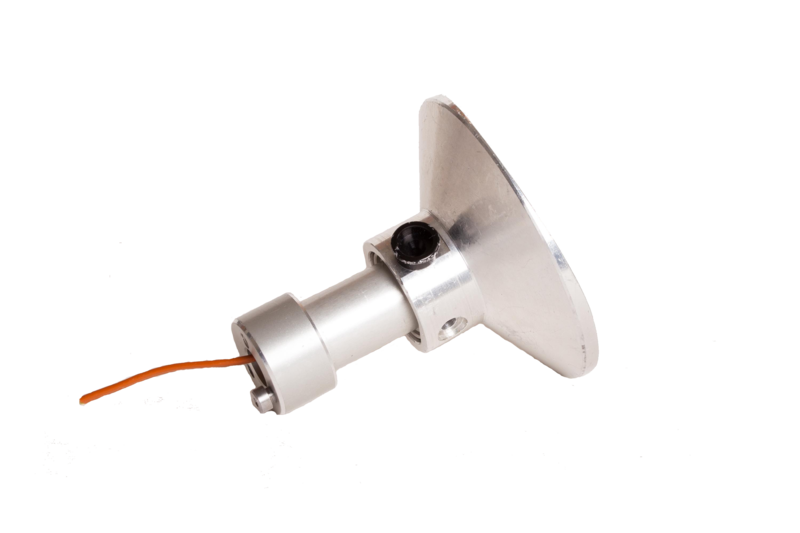 Reflective cones are a very useful addition to IR sensors when high accuracy and reliability are important for moving process measurements whose a) surface emissivities are likely to vary, and b) ambient temperatures in the measurement areas are somewhat variable. 2. For background into the underlying physics of reflective cones providing emissivity corrections, see “THROUGH THE LOOKING GLASS: the Story of Alice’s Quest for Emissivity” attached to this Tutorial, and also available at https://www.exergenglobal.com/white-papers/through-the-looking-glass. 3. Basic analytics for determining the performance of the reflective cone system in a given application is illustrated below. The radiation which reaches the IR sensor is composed of the emitted radiation from the target area at TT with emissivity eT plus the ambient radiation at TA entering the target area and reflecting from the target area, and the radiation reflected from the inside cone reflective surface (which adds no new radiation, but reflects back to the target surface). The radiation entering the sensor has an effective emissivity eT’ which is greater than eT due to the cone effect.